Vital Synergy is dedicated to enhancing performance through The Performance Enhancement Seminars. The Performance Enhancement Corporate Seminars provide training in the skills that build and maintain effective management and productive employees – two components necessary for a prosperous company. The Performance Enhancement Corporate Seminars assist organizations in increasing employee productivity, enhancing performance, and reducing employee attrition and dissatisfaction. Employee and company performance is greatly enhanced. Learning effective ways to identify and manage concerns within the workplace, and reinforcing and enhancing the success that is already there, gives your organization that competitive edge that empowers your employees and your company to maximize success. Companies that provide employees with access to career and personal growth opportunities in the form of health and wellness programs, such as the Performance Enhancement Seminars, reap tremendous benefits. Providing these programs, demonstrates to employees that the company cares and is interested and invested in their career success and satisfaction. This can have a significant motivational and loyalty building effect. The foundation of the Performance Enhancement Corporate Seminars is stress reduction and resiliency training. The seminars help take profit-killing stress out of the workplace. An individual’s emotional state, attitude, and health will affect not only their individual performance but also the performance and harmony of the team. When an employee’s performance is compromised there is often a ripple effect to other employees. To prevent this and to enhance employee, team and company performance, it is important not only to identify existing problems and stressors but also potential problems and stressors before they develop. By taking a holistic approach to stress reduction and performance enhancement strategies, these seminars provide employees and companies with a competitive edge. The value of living a balanced life cannot be understated. Balanced individuals are better at problem solving, decision-making, goal setting, and prioritizing. They have better time management skills, are more productive, have more energy and a greater mental capacity. Simply put, balanced employees are more productive, better performers. The Performance Enhancement Corporate Seminars are based on an inside out philosophy. The mind and body are closely interrelated, and to be successful you need to work with both. It is common for people to get stuck in patterns, habits and beliefs that keep them from achieving their optimum success. The Performance Enhancement Corporate Seminars provide employees with the tools and motivation necessary for optimum performance and companies are gaining tremendous success for themselves and their employees. 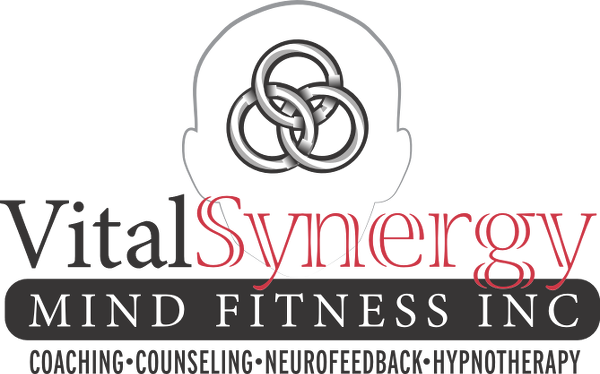 Vital Synergy works with businesses and organizations both large and small. Seminars can be tailored to the client’s specific needs and/or time constraints. Lunch & Learns are also available. WE EDUCATE TO MOTIVATE AND BUILD HIGH PERFORMERS FOR SUCCESS IN BUSINESS AND IN LIFE!